While singing has been an ever present element of Chantelle’s life, she is a relative newcomer to the folk world. Her main area of interest is folk ballads; the telling of a story through the medium of song and it is these that feature strongly in her repertoire. Chantelle sings a capella, with her shruti box, guitar or with percussion; she’s slowly working on bringing her harp into the set too! When it comes to ballads, Chantelle focuses on carrying the story across to the audience with instrumentation used to add emphasis and texture. Chantelle is currently working on her first, solo EP. She has also added her vocals to other projects: Queen of Spindles, Track 3 “Gathering Summer In” (artist: Talis Kimberley. Marchwood Media, 2012) and Spirit, choral backing vocals on Tracks 1, 3 and 5 (band: LEGEND, Ravenheart Music 2013). As well as singing solo, Chantelle is also involved with other acts. Currently she performs as a member of Talis Kimberley’s band and also with storyteller Kevan Manwaring. Chantelle has been performing as a member of contemporary folk singer-songwriter Talis Kimberley’s band since September 2010. Starting off on secondary vocals, Chantelle has since branched out to add percussion lines to Talis’s songs with bodhran or hand-held percussion. She is however, best known for the complex harmonies she sings with Talis. 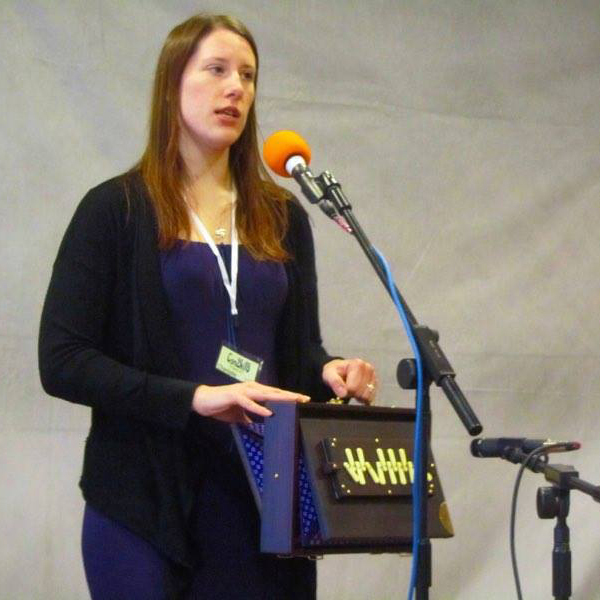 Since summer 2014, Chantelle has also been performing with Stroud-based storyteller, Kevan Manwaring. As a duo, they weave together the oral traditions of folk song and folk tale, with Chantelle adding instrumentation for further effect. To find out more about Kevan and Chantelle’s collaborations, please visit their website: http://brighidsflame.co.uk/. In addition to her music, Chantelle was also a contributor to The History Press’s 2017 anthology Ballad Tales, providing a prose retelling of the British folk ballads The Grey Selkie. Copies of Ballad Tales can be purchased directly from Chantelle at gigs or by e-mail, or from The History Press.